Today’s Camp adventure would be canoeing. Both girls have had a try at this before. But, its nice to have a knowledgable counselor teach you the ropes once again. Plus, with the heat this week it was a welcome treat to be on the water for some much needed cooling off. Here we are learning the different strokes. It was something like…stab the evil clown, pull him behind the boat, and dump him over…guess you had to be there! 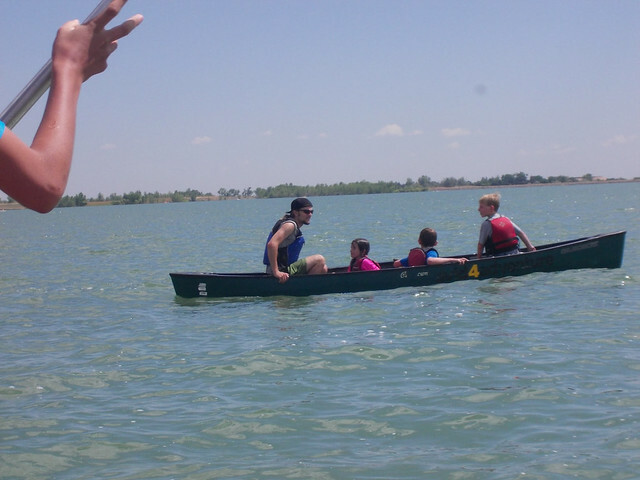 At one point in the day the counselors told the kids it was time to learn how to jump out of a canoe. Apparently, the demonstration was pretty funny. 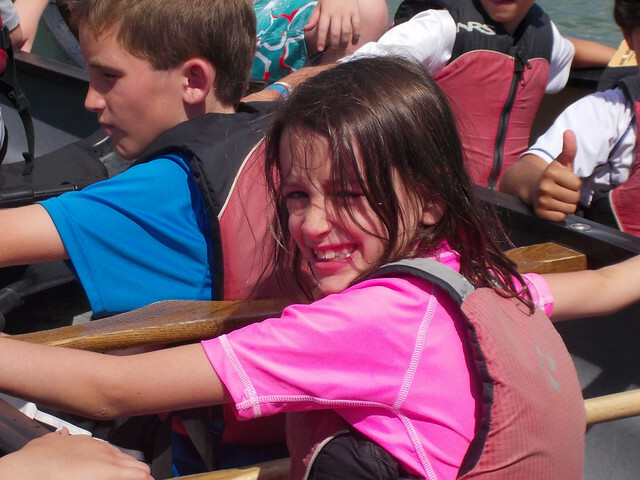 Reagan was a little hesitant to jump out of the boat. 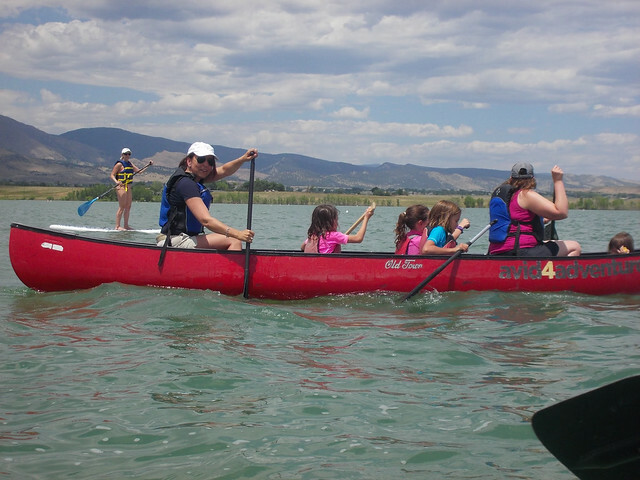 But, she happened to be sharing a canoe with Counselor Gabe. He would have no wussies. He picked her up by the life jacket and threw her in. Gabe said he loves her giggle so he just couldn’t wait to throw her in to hear it. Reagan loved it! She has such a great time with her Counselors. Turned out to be the kids favorite part of the day. I’m sure it was fun! 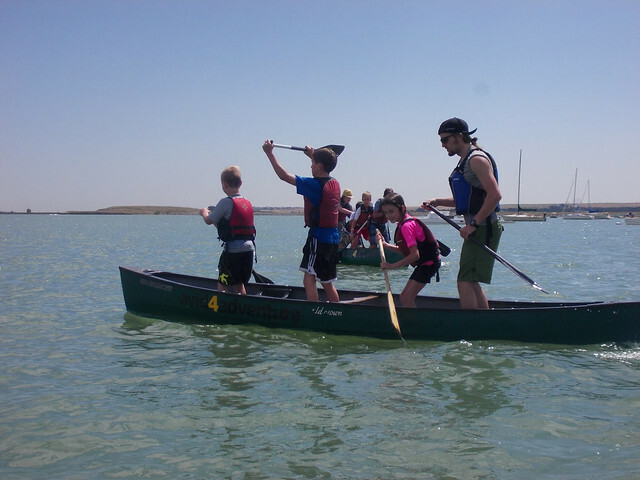 They also learned how to canoe standing up. Not sure that this is proper canoe etiquette but you gotta keep it interesting. Again, one of the favorites of the day. Who’s that? Mom and Kayla are in that canoe. That’s right! 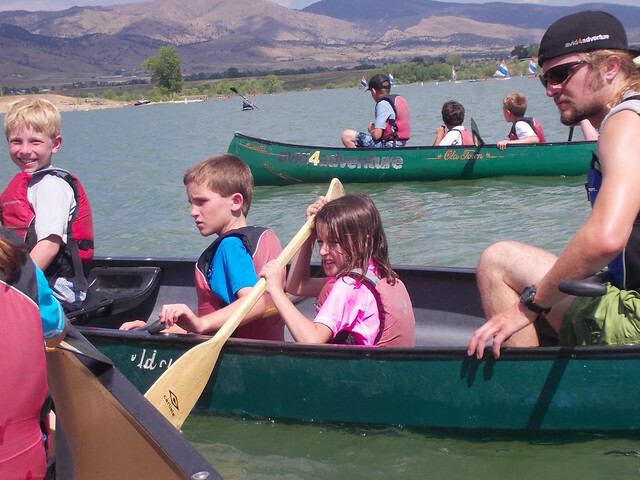 Canoeing Day is Parents Day for the camp. At noon parents were invited to share the day with their kids and see how they are liking camp. Much to my surprise they invited Kayla as well. So fun for her to feel like an older kid. I really appreciated that! And it was fun for the kids to show Mom what they had learned. 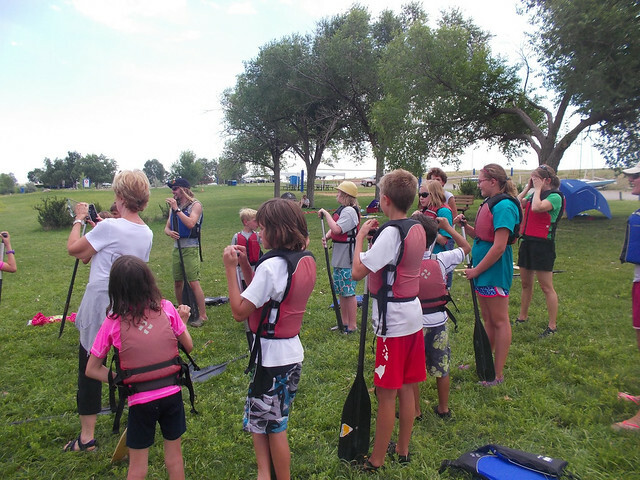 Vote for the day… canoeing is awesome! It was voted the favorite activity of camp so far, by both girls. Given that we are only on Day 2, we’ll see if it sticks.